Life Savers is a high school education program that encourages individuals to share their informed decisions about organ, eye and tissue donation with their loved ones by having a conversation…because the conversation matters. This program is offered free of charge. Presentations are designed to reach classrooms of any size and are often offered to health, psychology, sociology, science, physical education and drivers’ education classes. High schools may choose an assembly format as well, that may be designed to meet the needs of your school community. After the presentation the students are asked to have a conversation with their family regarding donation. Gift of Life provides Life Savers brochures for the students to answer seven questions after they have shared their decision about donation with a loved one. 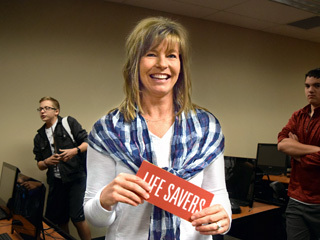 The completed brochures are returned to Gift of Life by the teacher and the data is used for office purposes only to measure the outcomes of the Life Savers program. The goal of the program is to educate and empower individuals about donation and encourage them to share their decision with their loved ones…because the conversation matters! 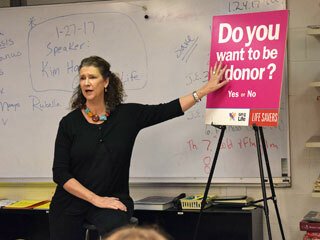 Kim Bowen Harbur, Director of Education and Co-Founder of Gift of if Life, is a presenter for school and civic presentations. With extensive experience as an educator, and as a recipient mother, she holds a unique appreciation for “The Gift of Life.” Her son Luke received a pediatric liver transplant in Kansas City in 1996. Tammy Rock joined the Gift of Life staff as an educator in 2015. Her son Conor has received two liver transplants. Her personal knowledge, bundled with her enthusiasm for the cause, brings organ, eye and tissue donation awareness to a whole new level. 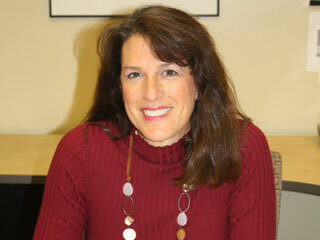 Kelly Boeh shares her perspective as a donor mother. Her daughter Hillary died at the age of five and became an organ donor. Kelly’s strong passion for organ donation is apparent when she shares her story.